Although having gone hand-in-hand for decades, it seems that the celebrity endorsement of alcohol has accelerated significantly in recent years. Yes, Frank Sinatra constantly extolled Jack Daniels during his lifetime, and Woody Allen famously advertised Smirnoff vodka back in the 1960’s, but nowadays it seems as though more “A-list” celebrities than not have something to endorse, and the relationship with alcohol is perhaps the strongest. Most prominently, we’ve witnessed joint campaigns between Cîroc vodka and Sean Combs (AKA. P Diddy/Puffy Daddy/Diddy/etc…), Haig Club whiskey and David Beckham, and premium tequila brand Sauza 901’s collaboration with Justin Timberlake. Not forgetting almost every Hip-Hop artist that has, at one point, name-checked Grey Goose or Cristal champagne. Some have been less successful (remember Donald Trump’s own short-lived brand of vodka?) while some of the brands have to rely on celebrity endorsement as a last resort to entice unknowing consumers to embrace their, quite often, lacklustre produce. Very few of these advertising moguls, however, have gone on to launch their very own brand of premium spirit, at least not quite as marvellous as Crystal Head Vodka from iconic Hollywood actor Dan Aykroyd, perhaps best known for his role in the 1980s blockbusting Ghostbusters movies. Launched in 2007, the brand was inspired by the lack of additive free vodkas on the market, but as well as the exceptionally high quality of the drink, the amazingly popular bottles are also a unique selling point. Designed by artist John Alexander, each bottle is skull-shaped and manufactured by Milan-based Bruni Glass. 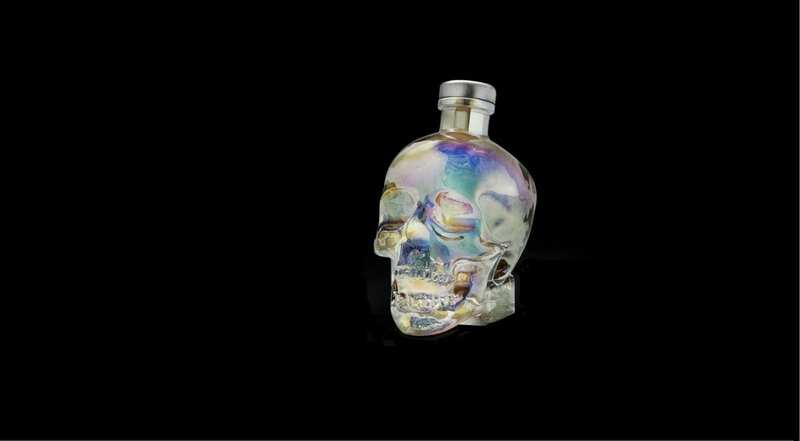 Following the success of the original product, an extension to the line of Crystal Head Vodka was announced last year. Created in celebration of the aerial phenomenon – Aurora Borealis – the aptly named Aurora showcases Aykroyd’s desire to experiment with various grains, in favour of the introduction of flavoured vodkas to his range. While the original product is distilled using corn, Aurora uses high quality wheat grown in North Yorkshire, which lends a spicier note to the spirit, combined with pristine water sourced from Newfoundland, Canada. The spirit is then distilled five times in a traditional column steel before it is filtered seven times in total, using activated charcoal – unlike the original – while it’s passed through Herkimer diamonds (a semi-precious gem stone) three times as a final distinctive touch. What’s also different from the original Crystal Head Vodka is Aurora’s brand new, limited-edition bottle with its iridescent finish in fitting tribute to its name sake. As for the drink itself, the clear spirit has a clean, subtle aroma with floral notes, as well as some spice that continues into the taste – particularly pepper – that leads into a warm, dry finish. An overall bolder offering than the original Crystal Head creation, that, unlike so many vodkas on the market, is pleasant enough to drink neat, although a selection of cocktails have also been crafted in accordance with the spirit, nicely accompanying the tastes present within this very favourable vodka. 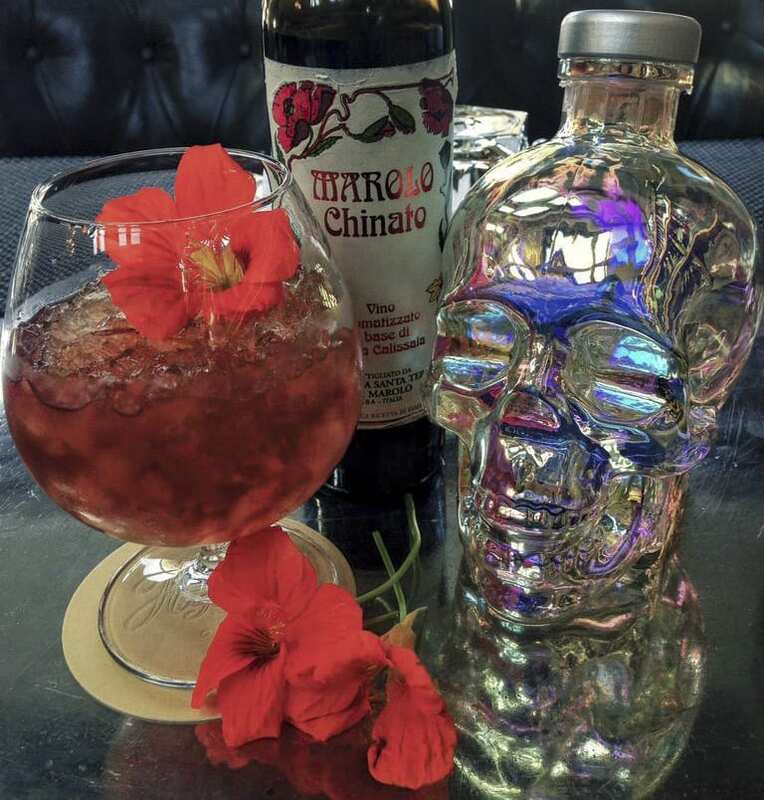 Here’s the recipe for a special vodka using Crystal Head Aurora and Marolo Chinato. Muddle nasturtium leaves and shake with other ingredients. Double strain into a brandy balloon with ice. Aurora Crystal Head Vodka is available from Harvey Nichols and priced at £78 for 70cl.